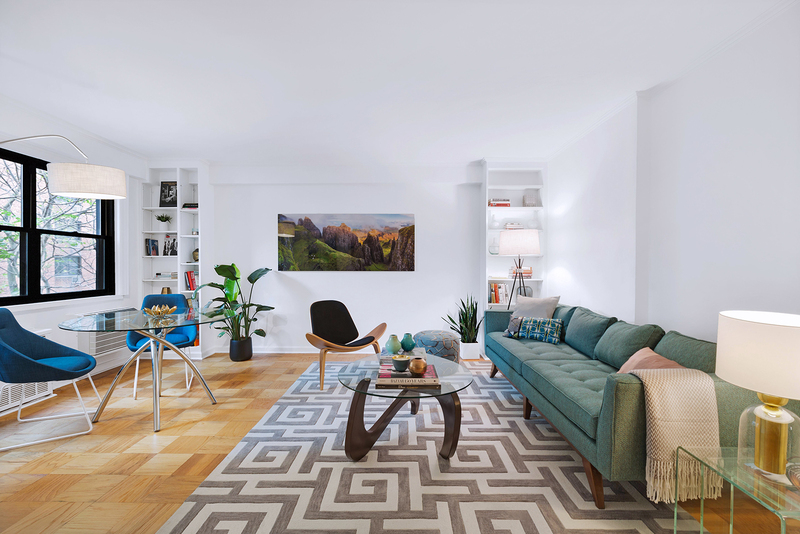 Located on historic Jane Street in the heart of the West Village, this rarely available two-bedroom with two full bathrooms is in a most desirable Village co-op with full-time doorman and elevator. This peaceful home was recently refreshed and is move-in ready or you can add your personal touches. A flexible layout enables the kitchen to be opened to the spacious living area – creating a unique open floor plan. 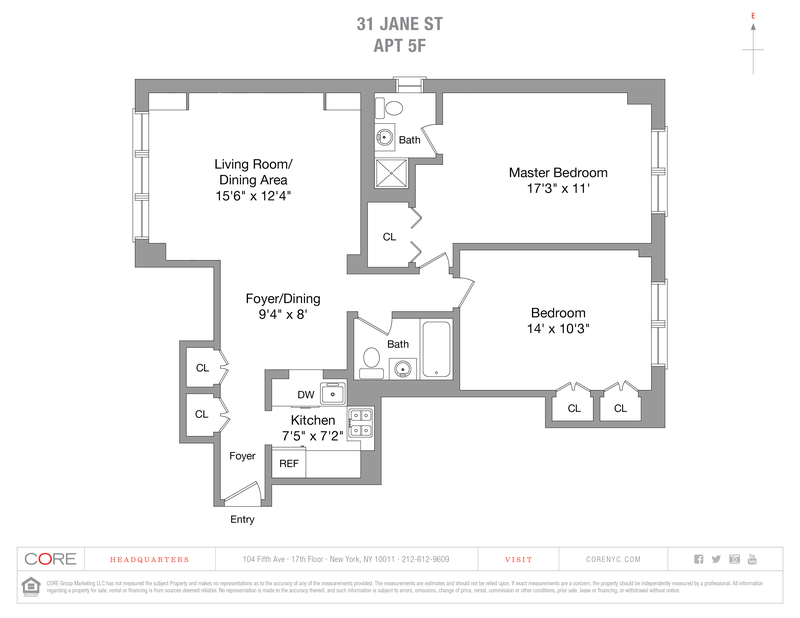 The master bedroom as well as the guest bedroom/den are generous in proportion, and offer ample closet space. Facing south over Jane Street, they are both filled with sunlight and feature Freedom Tower views. This tranquil apartment offers a spacious living room with built-ins, and a large window with quiet courtyard exposure. The well-proportioned bedrooms include ample closets and have their own bathrooms. Additionally, there are recently refreshed large tile parquet floors throughout, and through-wall AC in every room.